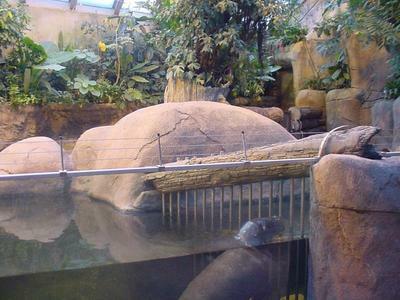 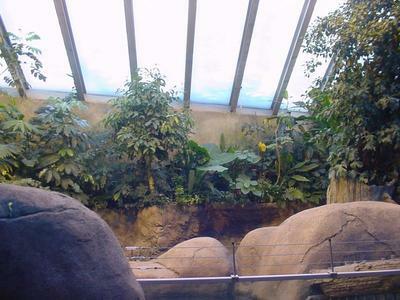 The most recent tropical exhibit in Aalborg Zoo is the Dwarf Hippo exhibit in the African Village - April 2006. 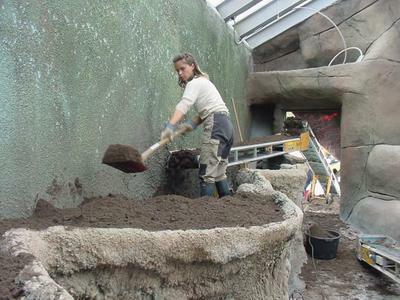 Below - you can see, how we made the inplant in the exhibit. 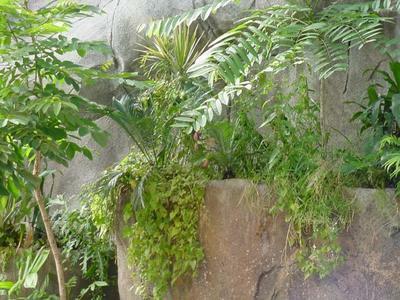 Try to compare the photos from the top - and see how fast the plants grow into a thick green rainforest foilage. 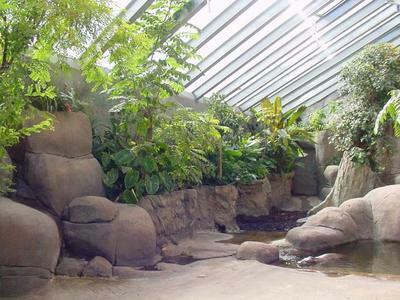 Aalborg Zoo opened in 2004 this new house. 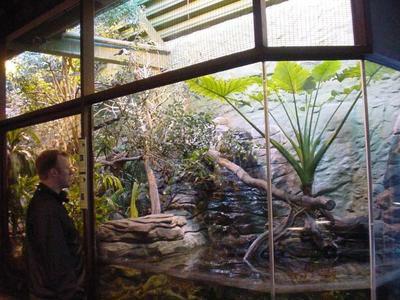 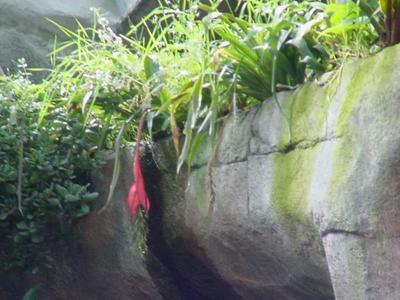 A small but very well functioning tropical exhibit. 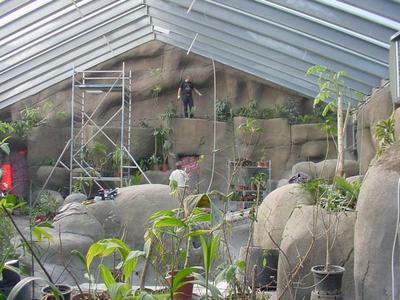 The central greenhouse is 225 sqm housing 5 species of animals: The Anteater, The Tapir, The Armadillo, Brownheaded Spidermonkey, Iguana. 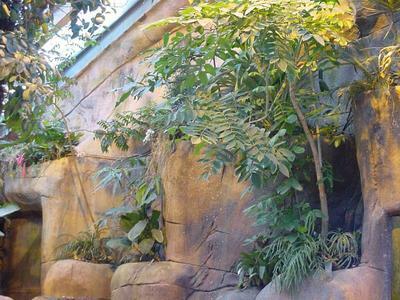 The entrance is made like an indian palmhut, decorated by indians from Equador. 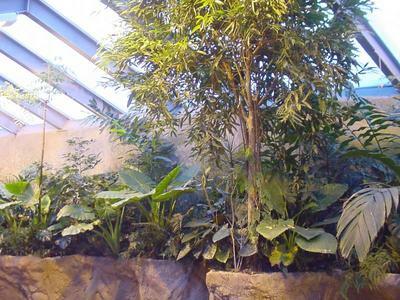 In the house the many trees, palms and plants from the rainforest have settled in fine. 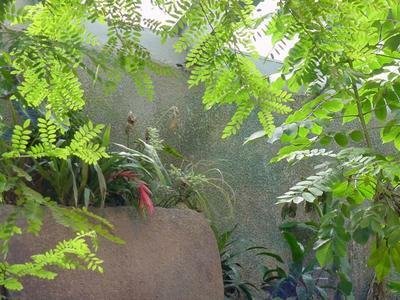 The climate is warm and light - an artificial rainsystem ensures the right climate and the right atmosphere! 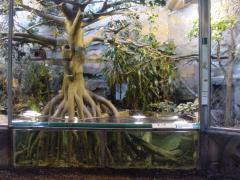 An unusual thing to see in an exhibit!!!! 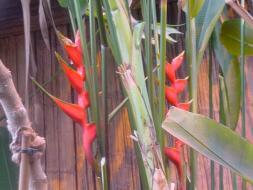  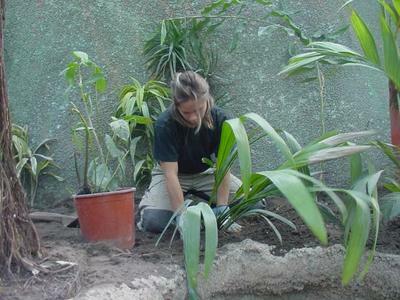 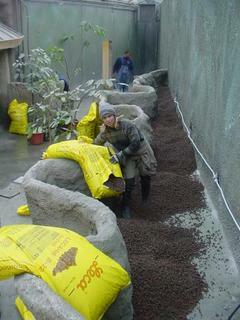 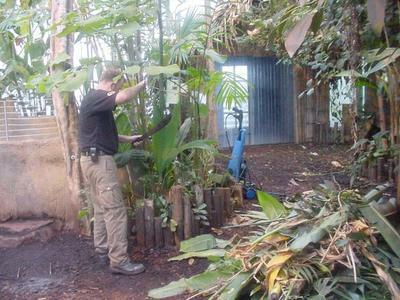 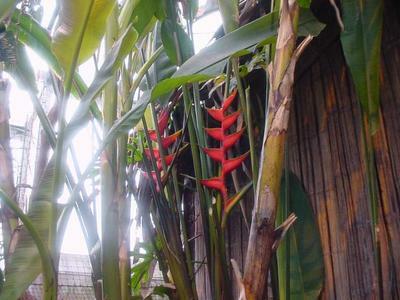 In the old Tropical House we have supplied with plants and made technical improvements since 1999. 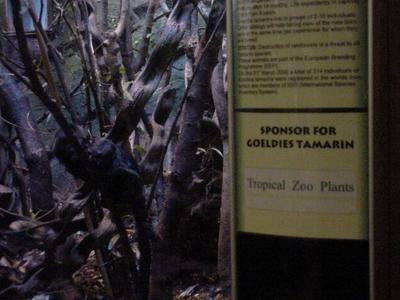 In this house we sponsor the Goeldies Tamarin monkeys.